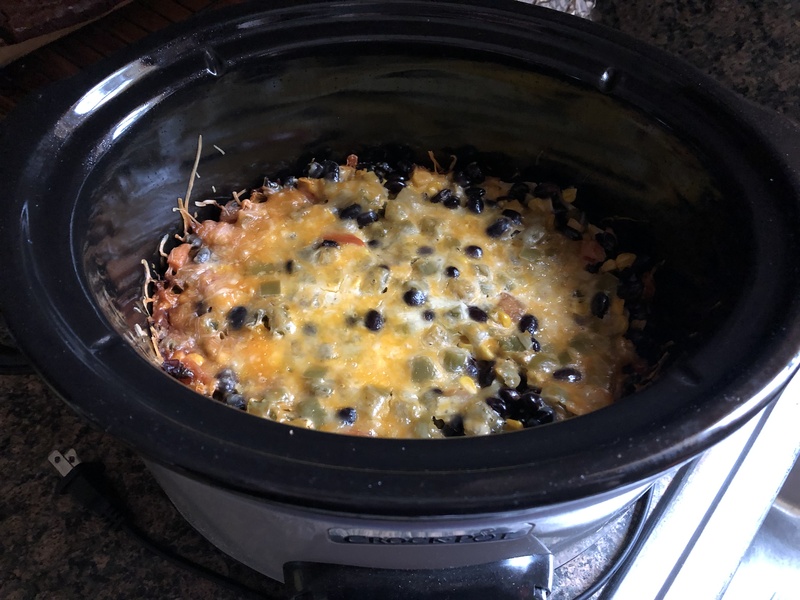 You may have noticed that I haven’t been posting as many Slow Cooker Sunday recipes. It’s for a few reasons, one of them, I am running low on recipes. Quite a few of the recipes I have shared have been from this cookbook. While I haven’t tried them all, there are some dessert recipes I would like to try, I have tried those that sounded most appealing to me. Another reason, a lot of the recipes I come across are usually for 6- 10 servings, great if you are cooking for 2 or more people, but, since I cook for just myself that’s way too many leftovers. Don’t get me wrong, I love leftovers (especially since it means I don’t have to cook everyday),but, after eating the same thing for lunch & dinner after two or three days it just doesn’t taste the same by the 5th or 6th time eating it. And yes, I could start working on creating my own recipes, but, I am more comfortable creating recipes for stovetop and oven cooking. So, I did some research and came across the answer, a slow cooker cookbook with recipes geared towards 2 people. No more leftovers for days and days and days. There’s a little bit of everything in this cookbook. A section on poultry, beef, breakfast, desserts and even seafood. Although, I always avoid making seafood in my slow cooker. I feel like since seafood cooks fast enough there’s no reason to slow cook it. Also, seafood odors can linger and cooking it in a slow cooker for hours on end may not be that delightful. So, I am geared with a new cookbook and ready to start using my smaller slow cooker to whip up some delicious meals that won’t be lasting me days on end. First up, I made a Corn and Bean Enchilada Bake. 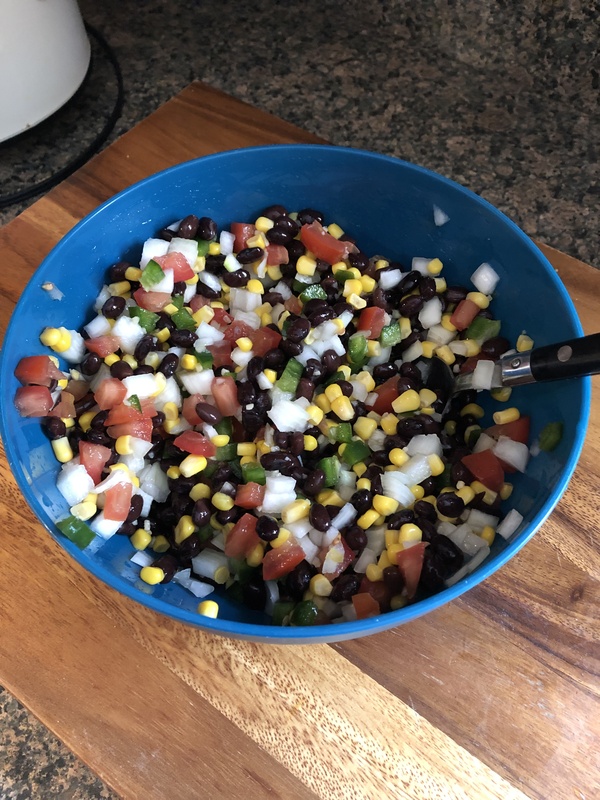 In a medium bowl I combined a chopped tomato, chopped onion, minced garlic, a minced jalapeno pepper, a can of black beans and corn. After spraying the insert of my slow cooker with cooking spray I layered the ingredients for the enchilada. I poured salsa verde in the bottom of the slow cooker. 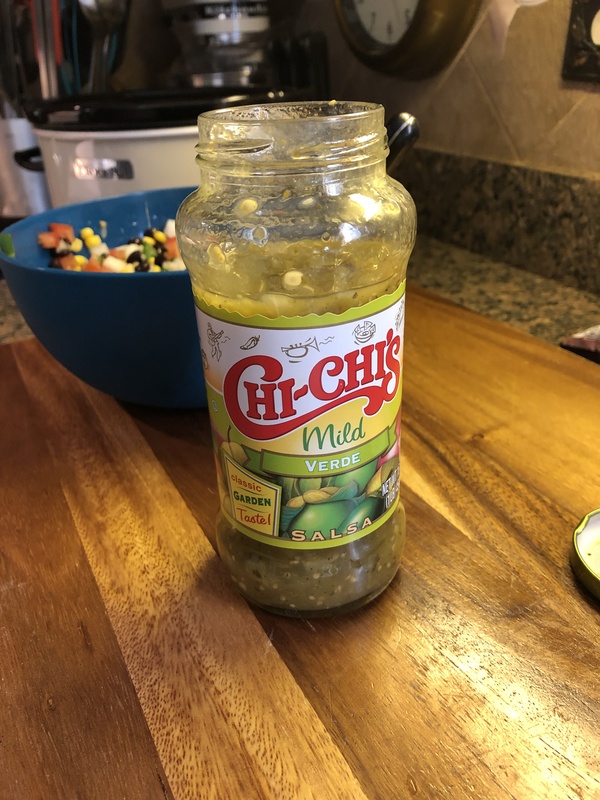 While the cookbook does include a recipe for homemade salsa verde I decided to go the easier route and used store bought. I then topped the salsa with 3 corn tortillas, overlapping them. I poured half of the bean mixture over the tortillas and topped it with more salsa verde and finally shredded cheese. I repeated the layers once more and then covered the slow cooker and set it to cook on low for 6 hours. After the six hours the cheese had melted and the tortillas were soft. And I had the perfect sized meal for 2 lunches and 1 dinner. In a medium bowl combine the first 6 ingredients. Spray the insert of a slow cooker with cooking spray. Pour 1/3 cup of salsa verde in the bottom of the slow cooker. Place three of the tortillas in the slow cooker overlapping them. Pour half of the bean mixture over the tortillas and the top with half of the remaining salsa and half of the cheese. Repeat the layers, ending with the cheese. 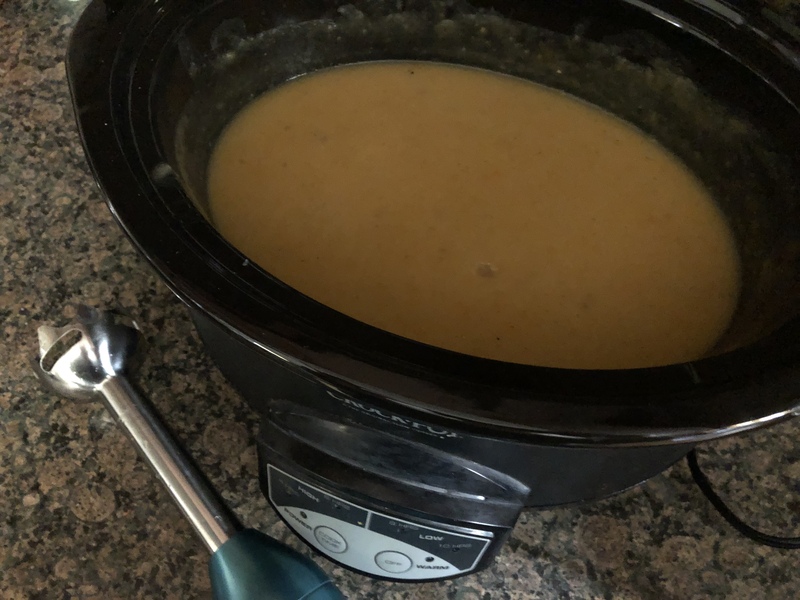 When I set out to make this soup I intended it to be a creamy potato soup, but, thanks to the addition of one too many carrots (and some other vegetables) and switching up the recipe I was following a bit this ultimately became a delicious Cream of Vegetable Soup. In my slow cooker I combined cubed red potatoes, a chopped onion, sliced carrots, sliced celery with chicken broth. I set it to cook on low for 8 hours, until the vegetables were tender. And then, using my immersion blender I blended all of the ingredients together to create a creamy vegetable soup and then stirred in about 1/4 cup of heavy cream and seasoned it with salt and pepper. Combine all the vegetables and chicken broth in the slow cooker. Cover and set to cook on low for 8 hours, until the vegetables are tender. Using an immersion blender, blend all of the ingredients to your desired consistency. Stir in the heavy cream and season with salt and pepper. If you don’t have an immersion blender, you can blend the soup a little at a time in a food processor or regular blender. 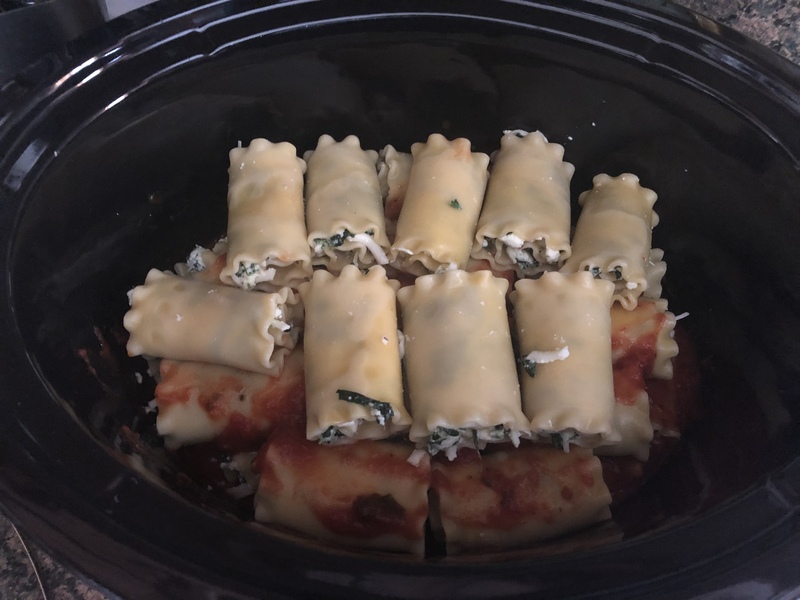 I’ve made quite a few pasta dishes in my slow cooker, but, I think this Spinach Lasagna Roll-Up dish is the best pasta dish I have made in my slow cooker. To begin, I boiled a 1lb. box of lasagna noodles until they were barely al dente, about 10 minutes. I rinsed them under cool water and set them aside. I then made the filling by combining ricotta cheese, shredded mozzarella, grated parmesan, Italian seasoning, eggs, and chopped spinach. For the spinach I used a 10oz. package of frozen chopped spinach that I thawed overnight and then squeezed the excess water out of. Next, I poured about 12oz. (1 1/2 cups) of marinara sauce in the bottom of my slow cooker, reserving the remaining marinara sauce. 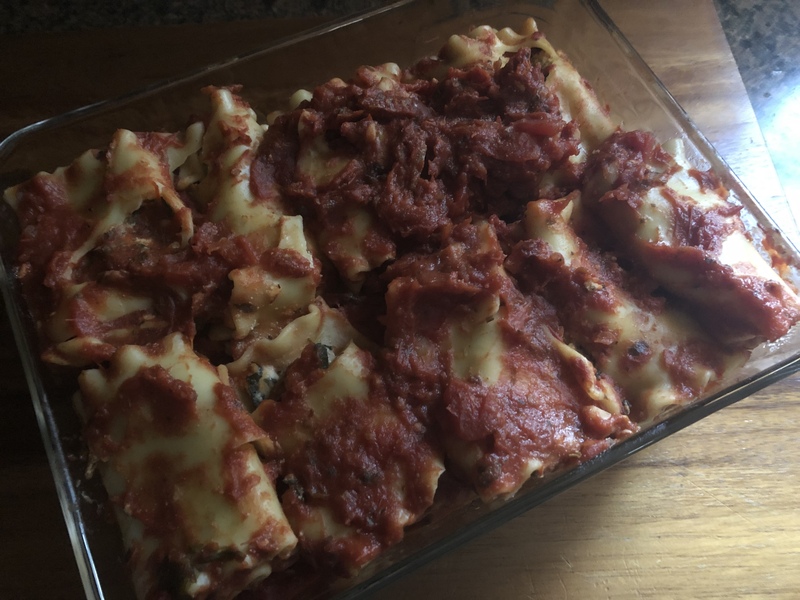 I then laid out a few of the lasagna noodles and cut them in half crosswise and spread a tablespoon of the ricotta mixture across each half. 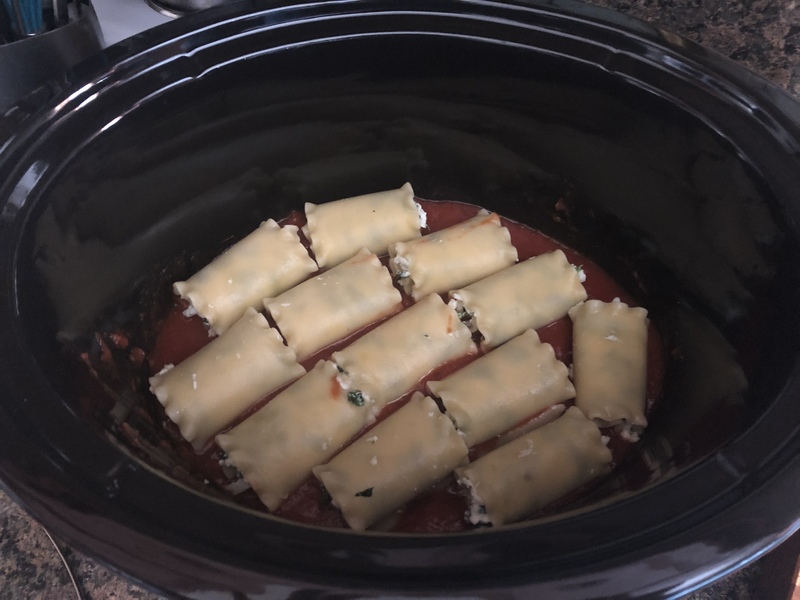 I then rolled them and placed them seam-side down in my slow cooker. I continued this process until I was out of ricotta mixture. I only had about 2 or 3 lasagna noodles remaining. 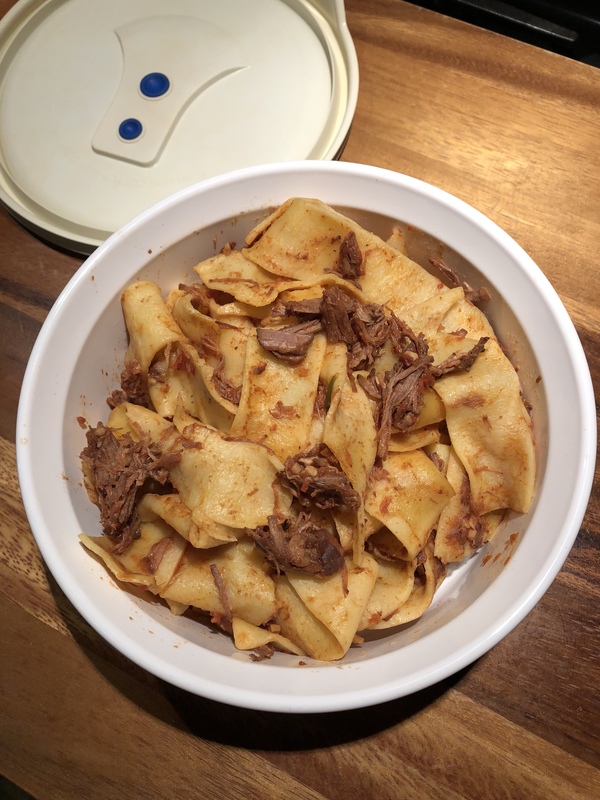 Once the bottom of my slow cooker was filled with the roll-ups, I spread a little sauce on the noodles before placing the remaining roll-ups on top to prevent them from sticking together while cooking. 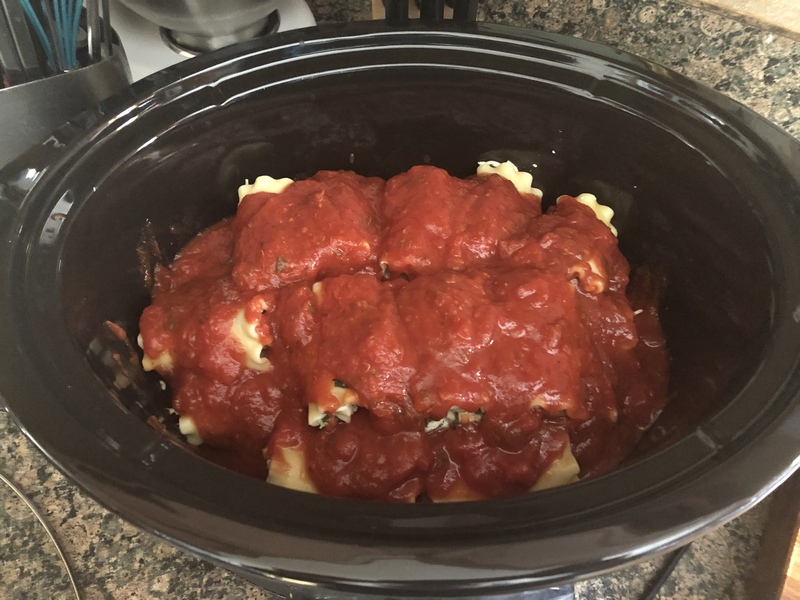 Finally, I poured an entire jar of marinara sauce over all of the roll-ups and set my slow cooker to cook on high for 3 hours. After the 3 hours, I poured the remaining 12 oz. of sauce over the roll-ups and left it on high for a few more minutes so the sauce could warm up. I then carefully removed the roll-ups using a large spoon and transferred them to a dish. Unfortunately this picture doesn’t make them look all that appetizing (I was losing the sunlight), but trust me it was good. Next time I might add some mushrooms to the mixture as well and also, plan on serving this when I am having people over. This made a fair amount and I was eating left-overs for a week (lunch & dinner). Definitely got tired of it by Wednesday… LOL! In a large pot of salted boiling water cook the lasagna noodles per the package directions until barely al dente, drain and set aside. 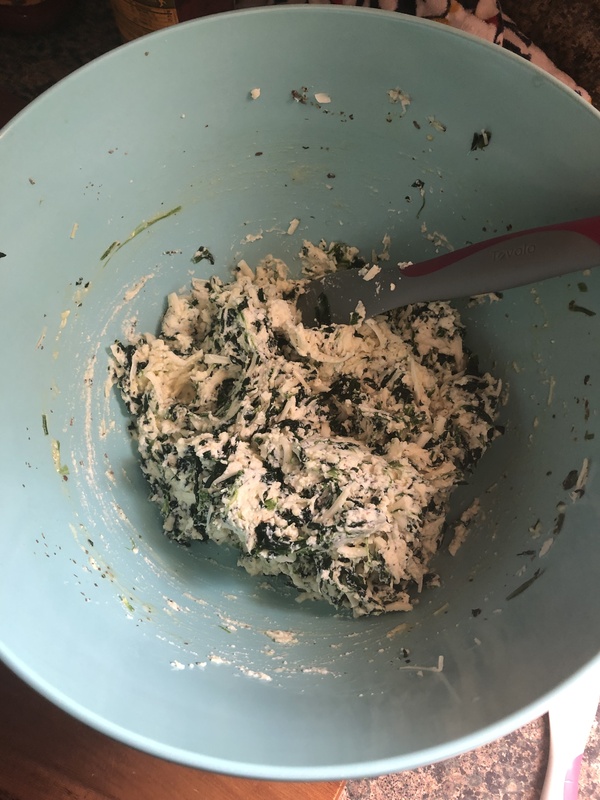 In a large bowl combine the ricotta, mozzarella, parmesan, Italian seasoning, eggs and spinach. Stir until well combined. 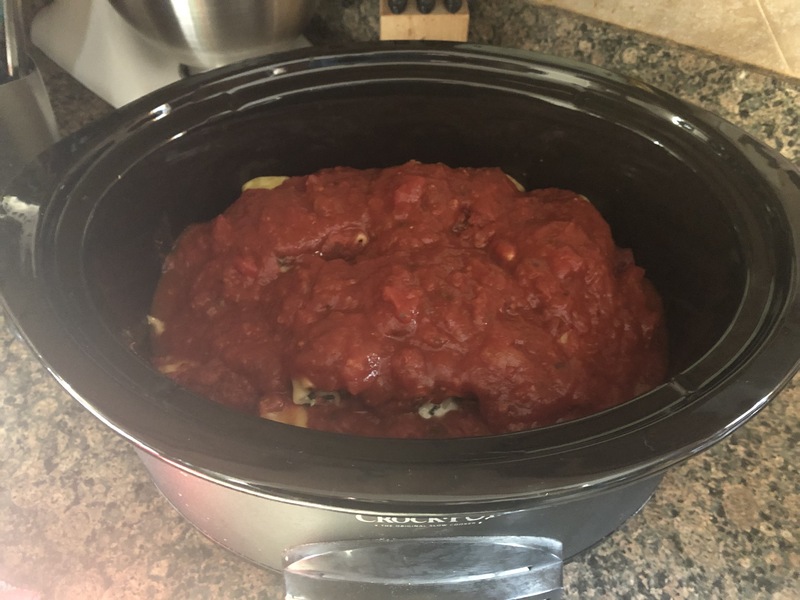 Pour half a jar of marinara sauce into the bottom of a slow cooker, spreading the sauce evenly. Set the remaining sauce aside. Cut each of the lasagna noodles in half crosswise and spread a tablespoon of the ricotta mixture across each half. Roll the noodle up and place seam-side down in the slow cooker. Repeat with the remaining noodles and ricotta mixture. Spread a little sauce over the noodles when layering them on top of one another. Pour 1 jar of sauce over the roll-ups and cover the slow cooker and set to cook on high for 3 hours. Pour the reserved half jar of sauce into the slow cooker and allow to hear through before serving. I can’t remember the last time I had or made ribs. I am pretty sure it’s been over a year, maybe even two. I wasn’t even sure if I still liked them to be honest. 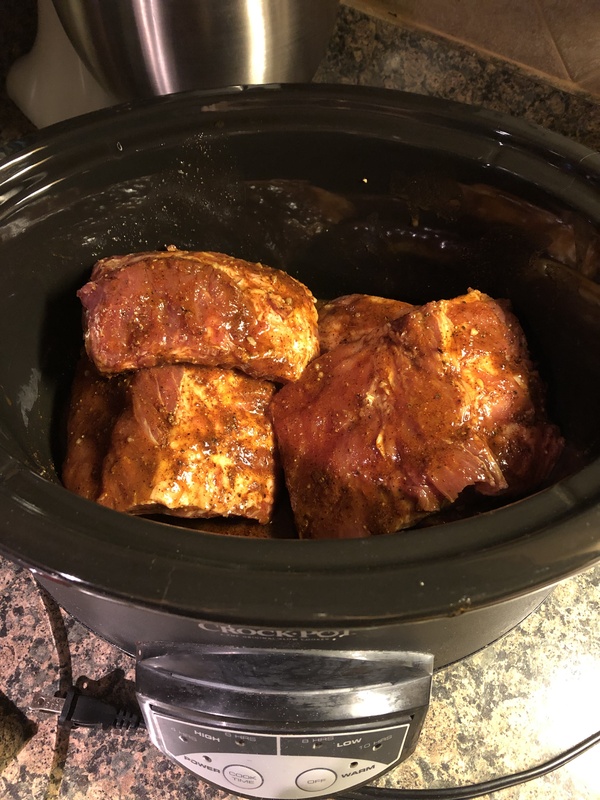 Then I came across a recipe for baby back ribs in a slow cooker and they sounded simple (and tasty) enough that I decided it was time to have ribs again. While the recipe called for 2 small racks of baby back ribs about 2 lbs. a piece, I ended up getting one rack that was 4 lbs. 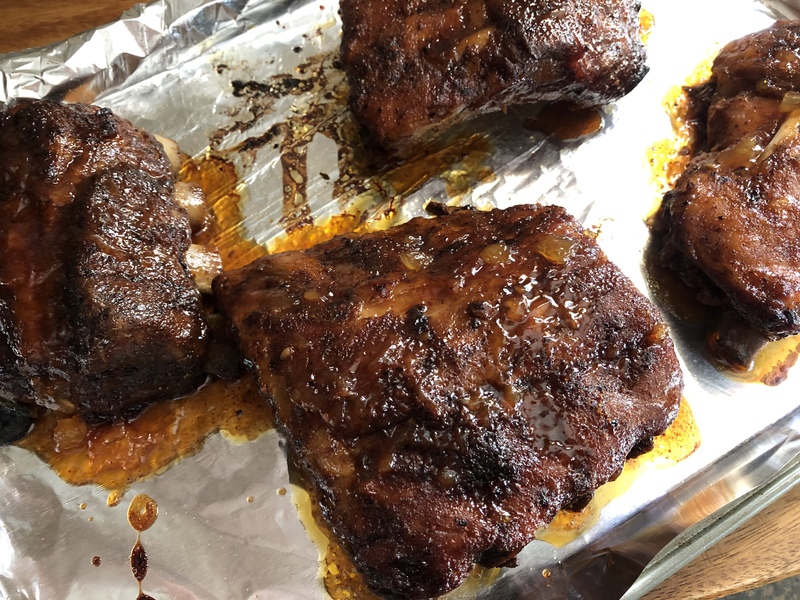 I divided this rack into 4 pieces and then seasoned it with salt and pepper then rubbed them with vegetable oil and sprinkled chile powder over the ribs. Rubbing the chile powder onto the ribs. In a measuring cup I whisked together teriyaki barbecue sauce, apple cider vinegar, minced garlic and ginger and then poured this into the insert of my slow cooker. I then added in the seasoned ribs and coated them in the marinade. To make sure each rack was coated, I added each rack one-at-a-time to coat. 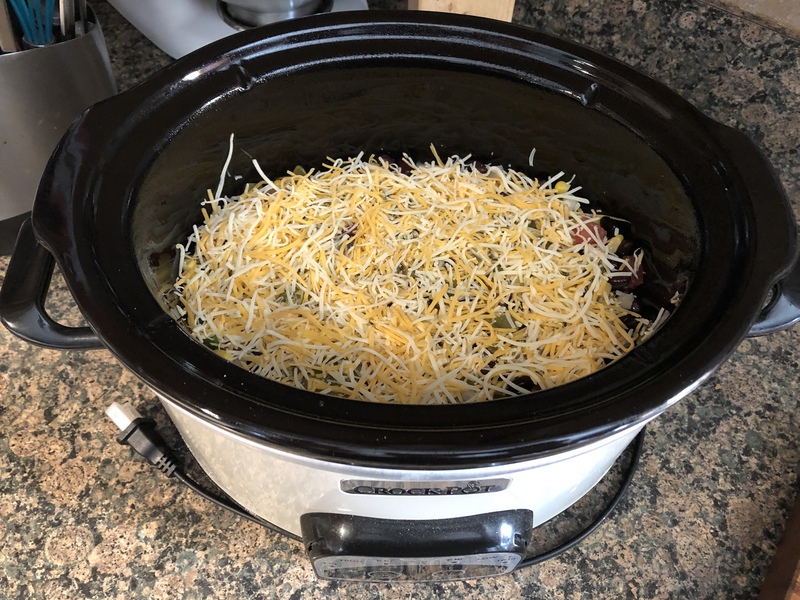 I covered my slow cooker and set it to cook on low for 7 hours. Well, I don’t own a digital slow cooker, so, I actually set it to cook for 8 hours. 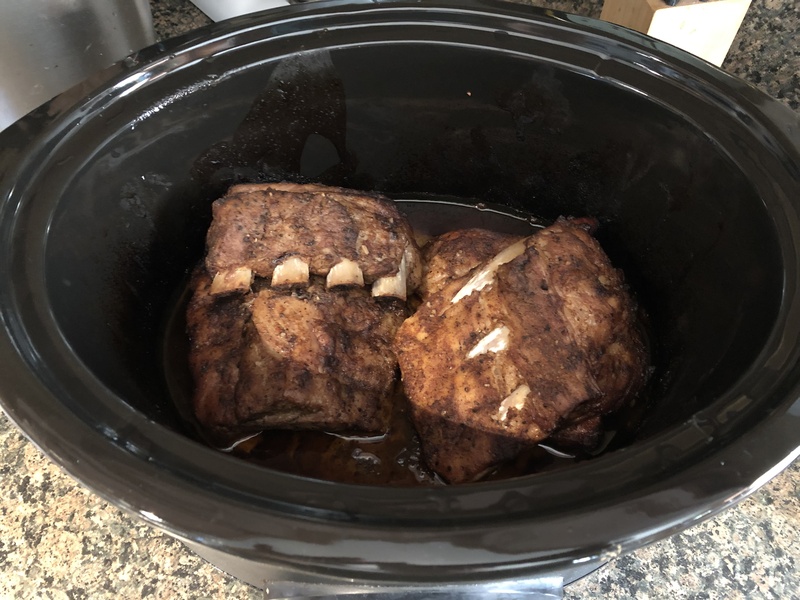 And intended to take the ribs out at 7 hours, but, I put them to cook overnight so by the time I woke up my slow cooker had already switched to the warm setting… Oops! It was all good though, the meat was thoroughly cooked and thankfully still intact. I transferred the ribs to a foil-lined baking sheet bone-side down. In a small bowl I whisked together some of the cooking liquid from my slow cooker, teriyaki barbecue sauce, pineapple preserves and ketchup to make a marinade. I then generously brushed it on the ribs. I then broiled them on high for about 5 minutes, until the sauce was sticky and the ribs were charred in spots. 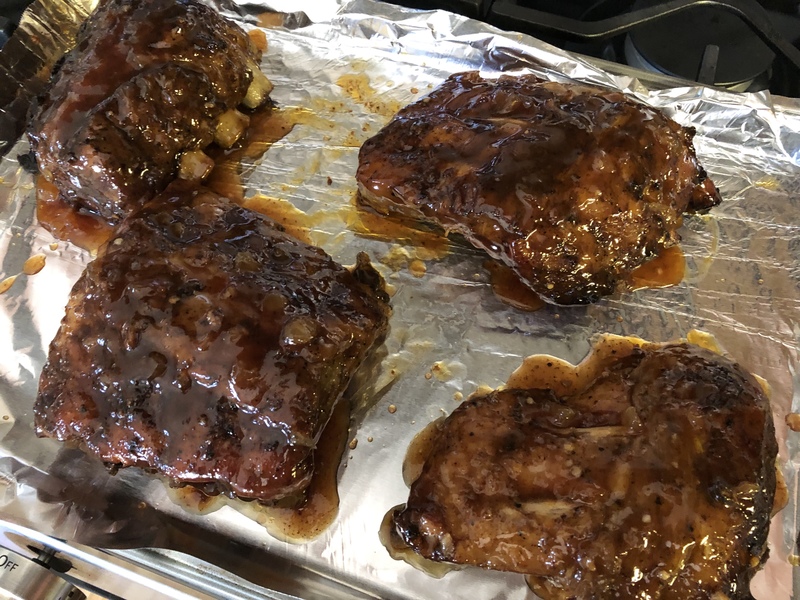 I’ll definitely be making these again, but, I think next time I will make them with Honey Barbecue Sauce for a sweeter flavor. Season the ribs with a generous amount of salt and pepper. Rub the ribs with the olive oil and then sprinkle with the chile powder. Rub the chile powder onto the ribs so it will adhere. In a measuring cup whisk together 1/3 cup of the barbecue sauce, the vinegar, ginger and garlic and then pour into a slow cooker. Add the seasoned ribs and turn to coat in the marinade. Cover and cook on low for 7-8 hours, until the ribs are tender. Preheat the broiler. Transfer the ribs to a foil-lined baking sheet bone side down. Remove 1/4 cup of the cooking liquid from the slow cooker and combine with the remaining 1/3 cup of barbecue sauce and the pineapple preserves and ketchup in a small bowl. Whisk together. Brush the sauce generously on the ribs. Broil until the sauce is stick and the ribs are charred in spots, 3 to 5 minutes. When it comes to chili the possibilities are endless. I’ve posted quite a few on this blog, traditional, vegetarian, beef and today I am bringing you a chicken one. A Chicken Enchilada Chili that is easily made in a slow cooker. And not surprisingly it’s one of my favorites, set it in the slow cooker and forget it. Lately with these types of recipes I’ve been cooking the recipes overnight in my slow cooker. I am apprehensive to leave my slow cooker on if I’m not home but somehow I am okay with sleeping while it’s on. It’s the best though, I place all of the ingredients in around 12m and by 8am it’s done. I’m an early riser so this actually works out best for me. My food is done in the morning and I can attend to other things during the day. Since I usually do this on a Saturday night my Sunday then consists of cleaning, laundry and all those other fun Sunday things to do. One of the great things about this chili is that it gets better each day. I would suggest heating your leftovers on the stove as opposed to the microwave. Because of the cream cheese, which makes this chili super creamy, you may find that your chilled leftovers become quite thick and I personally think heating the chilled leftovers on the stove re-melts the cream cheese perfectly as opposed to the microwave. Either way, make sure to add some toppings before enjoying. I enjoyed mine with avocado and shredded cheddar and it was perfect! Squeeze some fresh lime juice to really bring out the flavors. Oh, one more thing. Per the directions it says to cook the chili on low for 6 to 8 hours until the chicken shreds easily, don’t worry about overcooking. As I said, I cooked this overnight and left it for the full 8 eight hours without checking it prior and my chicken was perfect for shredding by then and the rest of my ingredients hadn’t suffered because of the extra time in the slow cooker. In the insert of your slow cooker add the enchilada sauce, tomatoes, chili beans, black beans, corn and chicken. Add in the chicken broth (or stock) and the seasonings and give everything a good stir. Cover and cook on low for 6-8 hours, until the chicken will shred easily. Remove the chicken and shred using two forks. Set aside. Cube the softened cream cheese and add to the slow cooker. Stir well and cover. Switch the temperature setting to high and let the chili sit for five minutes. Use a whisk to whisk the cream cheese to melt into the chili. Return the shredded chicken to the slow cooker and cover. Continue cooking on high until the cream cheese has completely melted and then stir again. Serve with your desired toppings. And had a delicious meal to pack for lunch. Add the tomatoes, wine, tomato paste, garlic cloves, 1/2 teaspoon of salt to a slow cooker and whisk together. Add the rosemary spring and Parmesan rind. Season the beef with salt and pepper and add to the slow cooker. Cook on low for 7 hours, or until the meat is very tender. 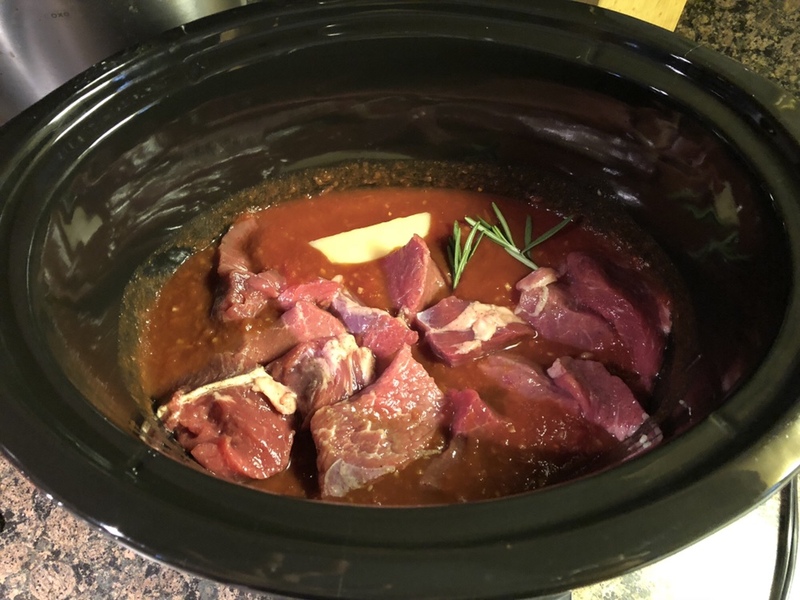 Shred the meat with two forks, discard any fat, the rosemary and Parmesan rind and set the slow cooker to warm while you cook the pasta. Bring a large pot of salted water to boil. Add the past and cook according to label directions. Reserve 1/2 cup of cooking water then drain the pasta. 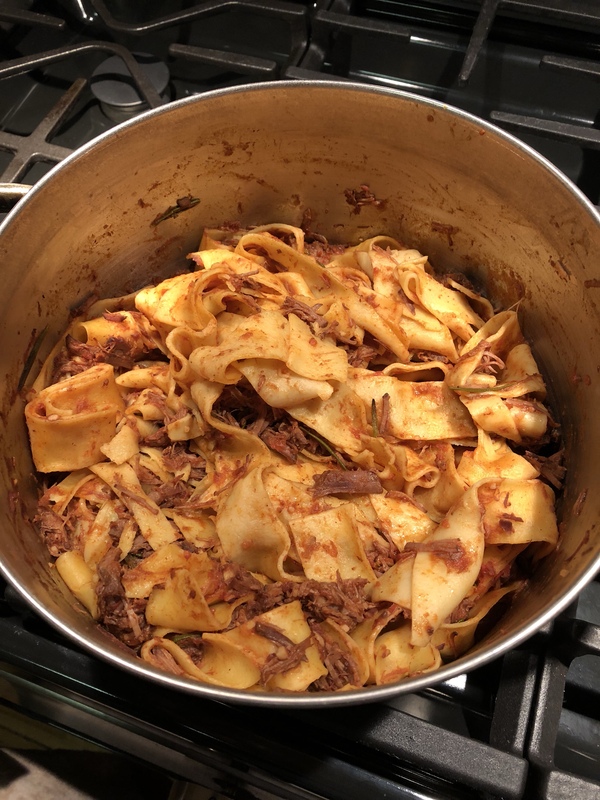 Return the pasta to the pot and add the meat and sauce from the slow cooker as well as the reserved cooking water. Cook on medium high heat until the sauce begins to thicken. Season with salt and pepper. Drizzle each serving with olive oil. This is one of my favorite type of slow cooker recipes… set it and forget it. I actually made it overnight and then woke up in the morning and finished it. Granted, the one downfall of making something in a slow cooker overnight is that you are awoken by the smell of something delicious cooking. The downfall isn’t the deliciousness, but, the interrupted sleep of course. Especially on the weekend when you are trying to get the few extra minutes you can’t afford to get during the week because of work, school, life, etc. To start, cook mushrooms and onions in a greased slow cooker insert (I sprayed mine with cooking spray) along with butter, vegetable broth and spices for about 7 to 8 hours, until the veggies are tender. Next, stir in refrigerated tortellini and cubed cream cheese and cook, covered, for an additional 30 minutes, stirring once halfway through. Stir in the spinach and let it stand (covered) for an additional 5 minutes. After the 5 minutes, stir in parmesan cheese and fresh parsley and enjoy! If you plan on reheating this, add some vegetable broth to it prior to doing so. Doing so will give you a creamier sauce. The first time I heated it up I didn’t and while it was delicious, it didn’t have the same creaminess it did when it was done cooking initially. So, the second time I added a little broth and that did the trick. Spray the insert of a slow cooker with cooking spray. Add the mushrooms, onion, spices, butter and vegetable broth. Give everything a good stir and cover and cook on low for 7 to 8 hours, or until the vegetables are tender. 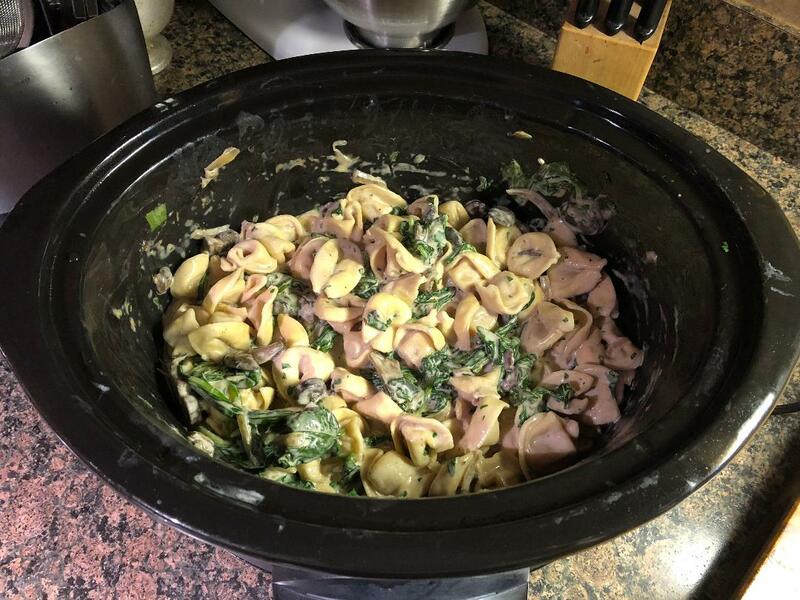 Stir in the tortellini and cream cheese and continue to cook on low, covered, for an additional 30 minutes. Stirring once halfway through. Stir in the spinach and let stand for an additional 5 minutes, covered. Sprinkle with the cheese and parsley then serve. A little crafting and baking with my nieces today... Cool Whip Dyed Easter Eggs and Homemade Rice Krispie Treats. There’s still time to bake up something fun for Easter... Get the tutorial for the Sprouting Carrot Cupcake and Bunny Ear Cupcake on my blog now. Link in profile. Today on my blog... Find out how I used a gingerbread man cookie cutter to make these adorable bunny cookies. Link in profile. Hot Cross Buns... I attempted to make these last year and it was a bit of a fail. I tried again this year and baked up a success. Head over to my blog to get the recipe and my tips and tricks to make a batch yourself. Link in profile. What did you bake this weekend? I made these Coconut Macaroons and Bunny Hug Sugar Cookies. Today on my blog... Find out how quick and easy it is to create these Bunny Ear Cupcakes. A perfect companion cupcake to my Sprouting Carrot Cupcakes from earlier this week. Link in profile. Head over to my blog today (link in profile) to find out how I created these Sprouting Carrot Cupcakes - Just in time for Easter. It’s finally starting to feel & look like Spring!